M*A*S*H veterans Potter, Klinger and Mulcahy have turned their khakis in for civvies, but find that adjusting to civilian life isn’t exactly a snap. In the opener, Potter doesn’t want to mark time retirement, so he applies for a position at a VA hospital. After ear surgery, Father Mulcahy goes on R-and-R at General Pershing, where Klinger is battling Alma to find a private room for a female patient. Col. Sherman Potter, Sgt. Max Klinger and Father Francis Mulcahy, all veterans of the 4077th M.A.S.H. unit in the Korean War, find themselves back in the United States as civilians after the war’s end. The year is 1953 and Potter, Klinger and Mulcahy, who have each returned to their respective homes in Hannibal, Mo., Toledo, Ohio, and Philadelphia, Pa., discover that the transition to civilian life is not as easy as they had hoped it would be. Reprising their roles from M.A.S.H. are Harry Morgan, Jamie Farr and William Christopher. With the Korean War just ended, Potter finds himself back home but lonely for his old 4077th friends. Klinger and Father Mulcahy join Colonel Potter at General Pershing Hospital. Imagine you’re a M*A*S*H fan in September 1983, sitting down to watch the special one-hour premiere of AfterMASH on CBS. You’ve been watching M*A*S*H for years, maybe since it began in 1972. You’re excited about the spin-off but also apprehensive. You don’t know if it can succeed without Alan Alda. You have high hopes for AfterMASH but part of you worries it will turn out to be a disappointment. Honestly, I can’t put myself in that mindset. Hopefully, fans who did watch the premiere of AfterMASH back in 1983 will share their recollections. Mildred and Sherman Potter, from “September of ’53. It’s fitting the debut of AfterMASH uses a narrative structure very familiar to M*A*S*H viewers: the writing of a letter. But rather than writing a letter home, “September of ’53” starts off with Potter writing a letter to Klinger. We actually get to see Klinger reading the letter about halfway through the episode. As the title suggests, “September of ’53” takes place in September 1953. Specifically, according to Potter’s letter, it begins on September 26th, 1953. 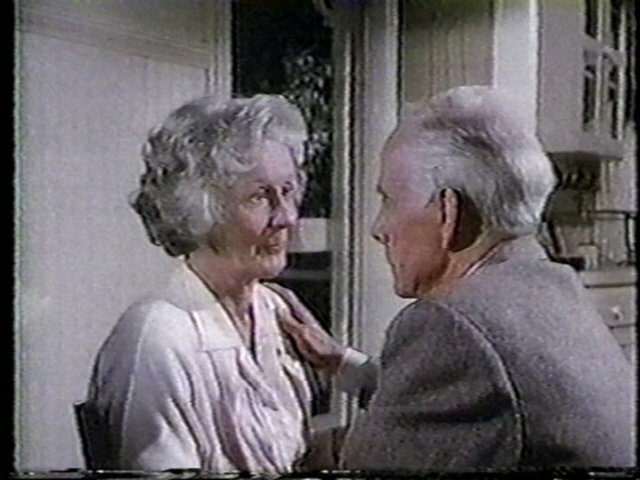 Much of the first half of the episode consists of flashbacks as Potter recounts various events like returning home to Mildred and his brief return to private practice. By the end of the episode, Klinger and Soon-Lee have joined the Potters in River Bend, Missouri. “Together Again” picks up two weeks later and before long Father Mulcahy is living in River Bend as well. Klinger tells a judge about his time in Korea, from “September of ’53. Is it believable that Sherman Potter, Max Klinger, and Father Mulcahy all end up working at the General John J. Pershing Veterans Administration Hospital (better known by its nickname: General General)? I’m willing to accept it. It’s certainly believable someone with Potter’s experience would be asked to serve as chief of staff/chief of surgery at a VA hospital. It’s likewise believable that Potter would help his former clerk transition to civilian life. And I suppose he’d likewise do whatever he could to help his former company priest as well. These first episodes of AfterMASH do what they’re supposed to. They introduce the characters and the setting of the new show and lay the groundwork for future episodes. Viewers, of course, were already familiar with Potter, Klinger, and Mulcahy. They probably remember Soon-Lee from the last two episodes of M*A*S*H. Mildred Potter was mentioned constantly on M*A*S*H, so she’s only half new. “September of ’53” introduces viewers to two new AfterMASH characters. 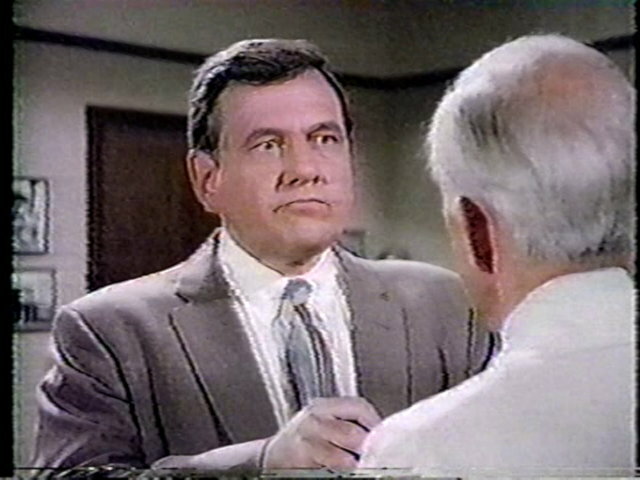 Mike D’Angelo (played by John Chappell) is hospital administrator at General General. He’s a bureaucrat’s bureaucrat, concerned with the bottom line and little else. Bob Scannell (played by Patrick Cranshaw) has been living at the hospital since 1918 due to exposure to mustard gas during World War I. Bob served under Potter, then a sergeant, and calls him “Sarge” rather than “Colonel” like everyone else. 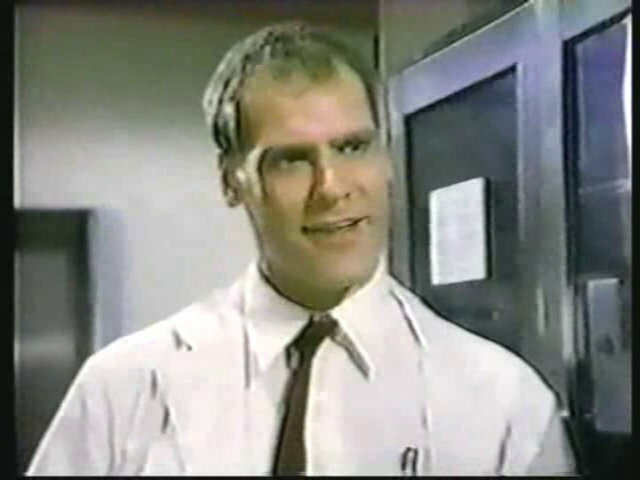 Three more characters are introduced in “Together Again.” Dr. Gene Pfeiffer (played by Jay O. Sanders) is a resident, a young doctor who dislikes the rules and regulations he has to follow. Alma Cox (played by Brandis Kemp) is Mike D’Angelo’s executive secretary, a sarcastic woman who enjoys ruling over her underlings with an iron fist. Alma’s shy assistant, Bonnie Hornbeck (played by Wendy Schaal), takes an immediate liking to Klinger. “September of ’53” includes a minor dramatic storyline in which Potter meets a troubled Korean War veteran. When the young man disappears from the hospital, Potter butts heads with D’Angelo over how to respond. Clearly, the two have very different views on how to run General General. In “Together Again,” there are two minor medical storylines. Dr. Pfeiffer is uncomfortable treating a woman with VD and Klinger has to bend the rules to find her a private room. He’s succeeds but crosses Alma Cox, setting the stage for future confrontations between the two. Once Father Mulcahy arrives at General General, he meets an African-American man who lost a leg. Suffering from phantom pain, the man claims he can’t wear a prosthetic leg. Mulcahy realizes the problem is the color of the prosthetic and has it painted brown. Potter uses Mulcahy’s success helping the man to convince him to join the staff as resident Catholic priest. There’s a lot packed into these two episodes. I can’t say I laughed once while watching the first two episodes of AfterMASH. Then again, I rarely laugh at any episodes of M*A*S*H after the first few seasons. Actually, I don’t find most sitcoms from the 1970s and 1980s very funny. I’m not convinced Larry Gelbart intended these two episodes to air back-to-back. Unlike the five hour-long episodes of M*A*S*H, which used the same title (i.e. “Welcome to Korea” or “Bug Out”), these episodes have two separate titles. CBS likely decided to air the first two episodes as an hour-long special to draw viewers to the premiere of AfterMASH. 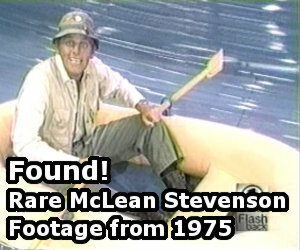 The network later aired them separately during the summer of 1984. Although AfterMASH takes place in the fictional Missouri town of River Bend, there is an actual village in Missouri called River Bend with a population of 10 people. Both episodes include a handful of references to 1950s culture and politics. The Potters are watching an address by President Eisenhower at the start of “September of ’53.” Near the end of “Together Again,” Mildred mentions Bishop Sheen, a Catholic bishop who hosted radio and television programs from the 1930s through the 1960s. And Father Mulcahy refers to Uncle Miltie, a nickname for the popular comedian Milton Berle. A brief scene from the end of “Together Again” was included in the 2003 documentary “M*A*S*H: Television’s Serious Sitcom,” which aired as part of cable channel A&E’s Biography series. Made me a medic, an orderly, a clerk. And most of what they told me to do I couldn’t unless I lied a little, stole a little. Somebody’d grab ya and say, “The ambulance is full. Corporal, go get a truck.” Only you ain’t got a truck. So you run down the road and you see a driver from some other outfit in the woods with a copy of Stars and Stripes and his pants are down and then suddenly you got a truck. Get you a laugh in the Army. Here it gets you two years. In “Together Again,” Father Mulcahy thinks of a joke Hawkeye once told him (“Korea, first cousin to ‘Dia’.”) after waking up from surgery to restore his hearing. AfterMASH reunited a number of M*A*S*H writers, producers, and technical crew, particularly during the first season. Larry Gelbert, who left M*A*S*H after four seasons, returned to effectively create AfterMASH. He wrote three episode, including these first two, and received a creative supervisor credit throughout the first season. Stanford Tischler served as an associate producer and film editor, Walter D. Dishell, M.D. returned as medical advisor, and Lionel Newman continued as music supervisor. Others include art director John Leimanis, unit production manager David Hawks, and executive production manager Mark Evans. “September of ’53” is the first of 13 episodes directed by Burt Metcalfe. Metcalfe worked as an associate producer, producer, and executive producer on M*A*S*H. He also directed 31 episodes of M*A*S*H between 1975 and 1983. On AfterMASH, Metcalfe served as executive producer. Lois Foraker, who guest stars as Nurse Coleman in “Together Again,” appeared in four episodes of M*A*S*H between 1976 and 1978 as various nurses. 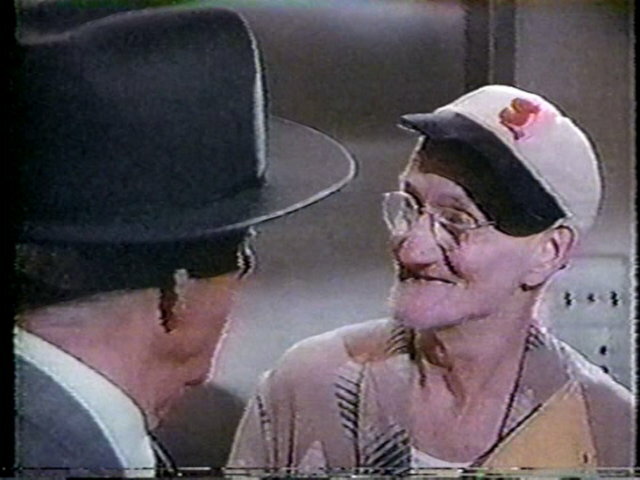 Nurse Coleman is a recurring character during much of the first season of AfterMASH and at least one episode during the second season. Guest star John Alvin previously appeared in the M*A*S*H episode “The Incubator” during Season 2. Can anyone confirm whether or not this is the voice of Kellye Nakahara? One minor plot point that I appreciated was the appearance of Fr. Mulcahey’s sister whom he so lovingly referred to over the previous series. I always appreciated the good Padre because, like him, I tend to be an eternal optimist (much to the great consternation of my wife.) He always was so supportive and enthusiastic about his sister, so it was a delight to finally link a face to the name. Just in terms of context… I was a teenager and loved M*A*S*H in 1983. I remember watching the finale with my parents in February. 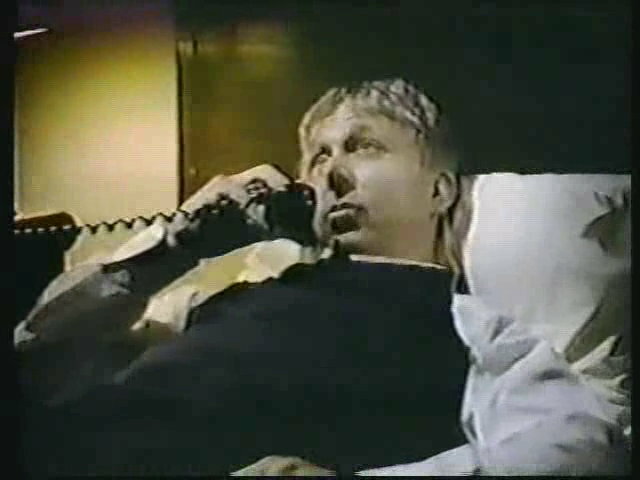 There was a promo at the end, “Coming this fall… AfterMASH.” CBS took their final run of GFA the week before AfterMASH premiered – I’m sure it did a huge number and they used it promote AfterMASH, which is why they did a one-hour premiere. The episodes were not produced as a true hour. Having watched all episodes myself not too long ago, I agree with you that they aren’t that funny – but they feel more at home as a TV comedy today (more single-camera comedies, not jokey, etc.) than this did in 1983. Wish it had been funnier. Here’s another thing to keep in context: What was presented in the initial airings of “AfterMASH” genuinely -felt- at that time like it was a very natural continuation of the more serious tone of what had been presented in “M*A*S*H” during its 11th season. This new series wasn’t at all a program that was being perceived back then as “the worst spinoff idea of all time”; rather, it was a chance to continue visiting with characters that TV viewers had become comfortable with over many years (and, a look at the show’s ratings back then do support this). Related to that: Part of the build-up of “AfterMASH” involved the mystery of what Mildred Potter actually looked like, and actress Barbara Townsend’s face was never seen in any promotional material until the airing of the first episode. The ad that appeared in TV Guide for that night was artwork of the 3 main characters as Potter hugged Mildred (who, again, is completely seen from the back side). In fact, the first time we see Mildred in her in the living room in the opening scene, we still never see her face. We don’t get our first look at Mildred until the flashback where she answers the door when her husband arrives home early. Other interesting bit of trivia: President Eisenhower speaks the first line heard on the series, as seen on the TV news program the Potters are watching. And it’s from a speech that actually happened AFTER September of 1953! I watched these a couple of year ago, unfortunately my copies weren’t that great and I guess we aren’t going to get official releases. I thought the programs were okay, as others say, they weren’t laugh out loud funny but they managed to stand up more than I expected. I have a thought regarding the validity of them all working together. Taken from the concept of the 1950’s I would think that helping former comrades get jobs / work would have been more realistic than today. The attitudes back then (I’m in the UK so maybe it was different) were definitely more community minded and more of a helpful society. I only recognize Jay O. Sanders from a couple of different movies: he played an antagonistic soccer coach in the Disney movie THE BIG GREEN from the 90s, and in Roland Emmerich’s THE DAY AFTER TOMORROW in the 2000s, where he played a scientist colleague to Dennis Quaid’s character. I was in high school when AfterMASH premiered. I watched all of the first season and most, if not all, of the second. I concur with David G.’s comments above — the show felt like a natural continuation from the tone of Season 11. After largely burning out on M*A*S*H during the post-Radar era, Season 11 and AfterMASH re-engergized my interest with the wrap-up of the Korean Conflict and then the chance to see the post-war lives of at least some of the characters. 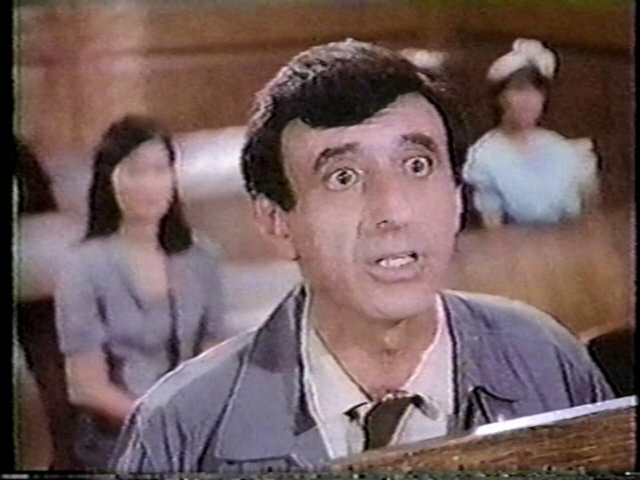 For me personally, AfterMASH lost me with the regression of Klinger’s character. I actually liked the way Klinger’s character had matured over the post-Radar years and felt the writers had used the Klinger Section 8 escapades too many times. I also do not think AfterMASH was one of the ‘worst series/spinoffs of all time’. In my mind it is much more like Mayberry RFD compared to the Andy Griffith Show. It is sort of a pale imitation that never grasped the level of the original. Look at the ratings slide for AfterMASH. At one point this show was 116th! You can have the best actors and writers but you can only milk an idea for so long. CBS did not want MASH to end. But Alda and co. were tired and done. 4 of the actors wanted to move on, and 3 didn’t. Hence CBS’ vehicle for the remaining actors to do this. AfterMASH should have been movies of the week, but it should never have been what it was. Can you let us know how you’ve gotten to see these episodes? I’ve seen a few on YouTube but the quality is atrocious and the episodes are incomplete (not to mention that several are simply missing) I’m sure there are others who would like to see these episodes in decent quality as well. Unfortunately, YouTube is pretty much the only way to watch AfterMASH. I wish the show was available legally on DVD. Maybe once (if?) Disney acquires 20th Century Fox and, presumably, the copyright to M*A*S*H and AfterMASH, we’ll see the show finally come out on DVD. But I doubt it. Regarding the ratings, AfterMASH was a top 10/top 20 show in its first season. Its ratings collapsed when it was moved from the Monday 9 p.m. slot that M*A*S*H had been in for its last several seasons and shifted to Tuesdays where it went head-to-head against the A-Team. Then its ratings collapsed. Thing to remember is that “spin off” or “sequel” shows will have to stand on their own at some point. That means, whatever they’re up against, their audience has to follow them. AfterMASH lost its audience because the “halo” effect of MASH simply didn’t stick. There was not enough depth and story to hold the audience. A classic eg. of a spin off that held its viewers is Frasier. This show never had a wobbly start at all, but even when it moved to the treasured Seinfeld slot, it still was extremely successful. After Mash started out strong and then sort of petered out when the novelty wore off. TV as a whole seemed to be in a transitional stage from the late Seventies to the early Eighties; other examples included Archie Bunker’s Place and Gloria which were the sequels to All in the Family. The good: the way the characters were re-introduced after they got home (although I would have liked to have found out what happened to Hawkeye, BJ, etc.) The bad: maybe too many references to their former show. Klinger has some of the best lines with what things were like in Korea.